Jan van Erp was the cause of my ambigram mania. As a magazine editor he once wrote an article about the phenomenon when Inversions came out in the early nineties, the first book about ambigrams, by Scott Kim. The word ambigram had yet to be invented by Douglas Hofstadter back then. But he wrote a beautiful introduction to Inversions . I know all this because Jan van Erp bought me copy of the book, which i just found in my mail box! I regard generosity as one of most important human qualities. We are so brain washed with the idea that there is not enough for all of us, that many people are constantly in fear of loosing whatever they happened to have. Even when it comes to data, digital stuff that can be copied with one click, some people hesitate to share their material. Not Jan van Erp! If you want to find out more about him, check his site, Pantacyclopedia. He probably wants me to tell you that the site is under construction, but I think that there is enough to read and see to make it worth visiting. 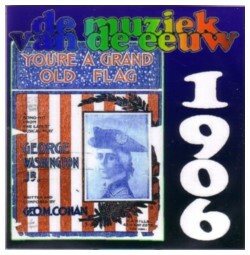 Jan is making a series of CD compilations with music from before 1955: one CD for every year. He is random going through the years, and the project is not finished yet, but I have some of the early compilations and they are very interesting. We are so used to radio that only plays recent music, but there has been pop music from the beginning. 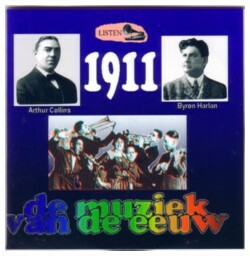 Listening to a CD with the hits of the year 1900, 1913 or 1924 is a very pleasant and mind opening experience. One song from those days is not enough for me: only after listening for an hour or so to this old music I get into it and is it starting to touch me. But I didn’t want to write about music today. I want to talk about ambigrams! As far as I have seen there are only a few dozen of people serious into this craft. A handful of them has produced some masterpieces that stand out as examples for the other ambigramateurs, like me. Last night I read in Inversions about the first ambigram that Scott Kim ever made: an oscillation of the word Figure . 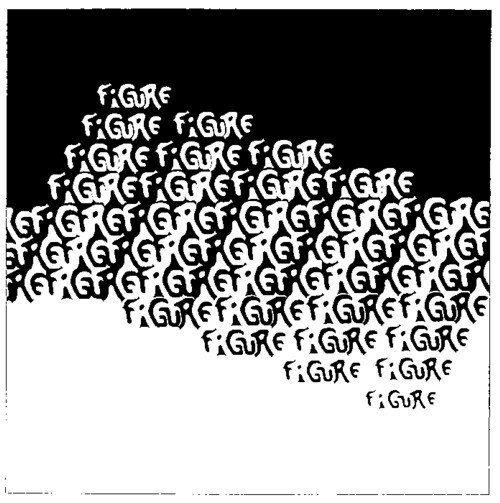 Figure is a term used in graphic designing. Scott Kim wrote it in a way that the empty space around the word can also be read as figure . This is so uncanny that I couldn’t sleep last night. It is about as close to a miracle as one can get. That miracle-aspect is what I like about making ambigrams: I start out with a word and usually within a few seconds I reach a point where I can see no way too solve the problem. But the secret is that there are always more possibilities than I can think of. Even if the result is ugly and difficult to read, I have always been the instrument for creating possibilities that I could not see when I began. I will write more aboue ambigrams in the future, but since this is officially still a soundtrack, here is a hit record from long ago, when records were played at a speed of 78 rotations per minute, Mambo bacan , sung by Sophia Loren.